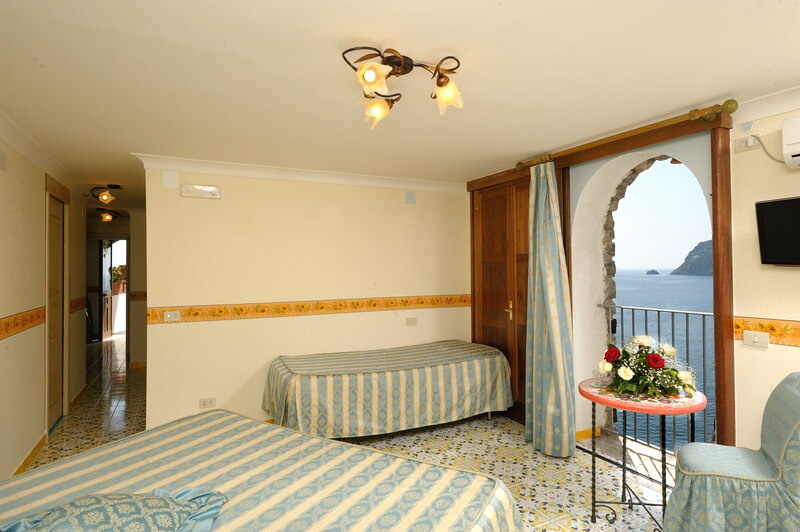 Book in a charming sea view hotel: relaxing rooms on the Amalfi Coast! Do you want to stay in an elegant sea view hotel, in comfortable rooms with a unique panoramas in the world? 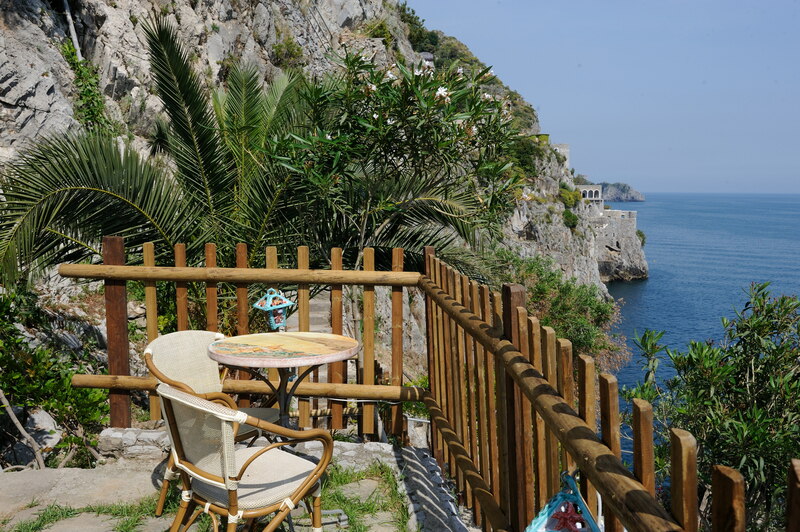 Spend your dream vacation on the Amalfi Coast in a Hotel with a wonderful sea view, La Locanda del Fiordo in Furore, for a beautiful and relaxing holiday! A glimpse of the unique Amalfi Coast in the world, between the breath of the sea and the magic of the Mediterranean nature of the coast. La Locanda del Fiordo is located in Furore , Italy halfway between Amalfi and Positano. It offers excellent dining in the best panoramic restaurant with view on the Amalfi Coast, a delicious snack bar, free parking, free Wi-Fi, breakfast room, lovely sea view rooms with private bath, whirlpool, solarium and private access to the sea area. The Rooms at the best Hotel Amalfi Coast, La Locanda del Fiordo, bright and comfortable, with view on the sea, are furnished with taste and attention to detail, focusing on the elements of typical local handicrafts, such as Vietri ceramics, with bright and warm colors, and wrought iron furniture. • shower and spa pool. Find out our Special Offers Hotel to spend unforgettable moments lulled by the soothing sea. 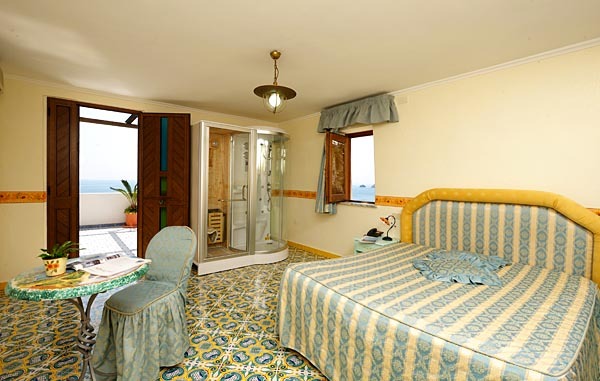 Choose your dream room in our sea view hotel for a wonderful stay on the Amalfi Coast! 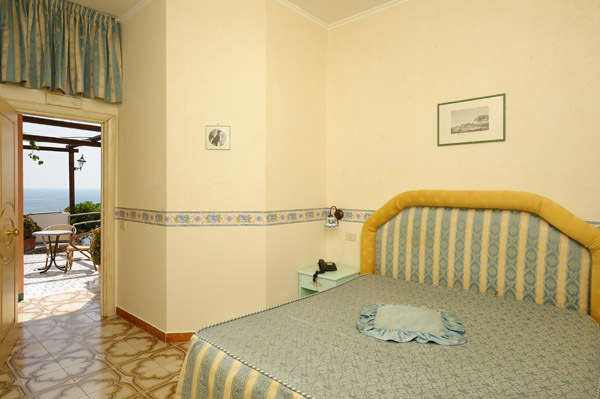 Standard, Superior, Suite and the extra room services: breakfast room, special diet, laundry, excursions, Airport shuttle, boat tours to Capri. The bus stop to Amalfi or Positano is at 5 minutes from the hotel. The stairs for the beach of the Fjord of Furore are at one hundred meter. 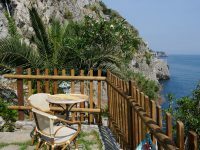 La Locanda del Fiordo hotel offers traditional cuisine in its charming sea view restaurant. On the enchanting terrace you can taste your lovely breakfast, choosing among several products sweet or savory. The Risto Bar is ideal for your snack and for your moments of relax. 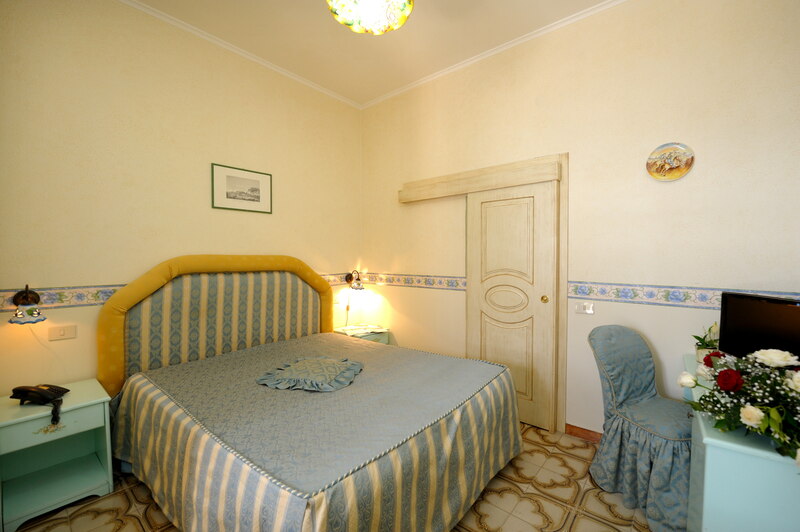 Our hotel's standard rooms are romantic and comfortable, with a delightful view of the sea. 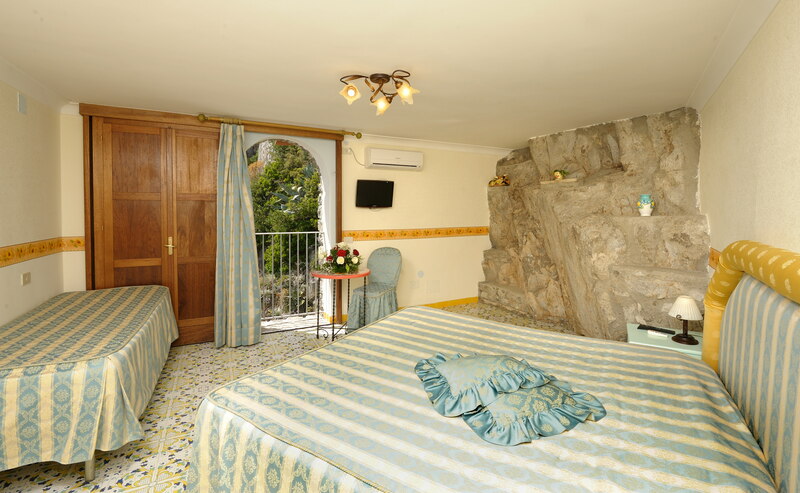 The Superior rooms have been created from the ancient Monazzeni, the restored fishermen's houses, which were built in the rock. The rooms have a lovely balcony overlooking the sea. 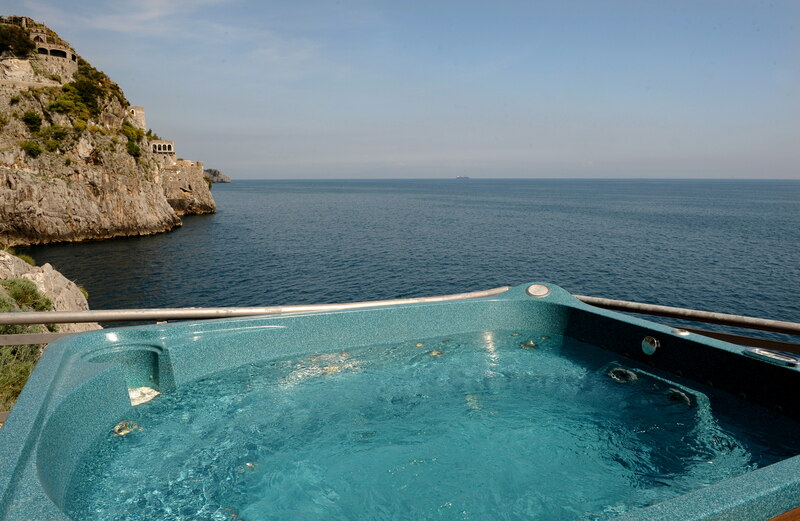 The suites have a balcony and an outdoor Jacuzzi on the panoramic terrace. The suites have a hydro-massage shower in the room with sauna and Turkish bath functions. What are the wonderful activities to do from our hotel with sea view? • the royal palaces, churches and museums of Naples. • Last but not least the beautiful islands of Capri and Ischia. Capri can also be reached with our private boat service, which can be booked on request. The hotel is also the starting point for wonderful walks on foot along the paths that lead to the mountain from the sea, crossing the lush nature of the coast. The most beautiful hiking route, known all over the world, is the Path of the Gods. It starts from Positano and arrives in Agerola. 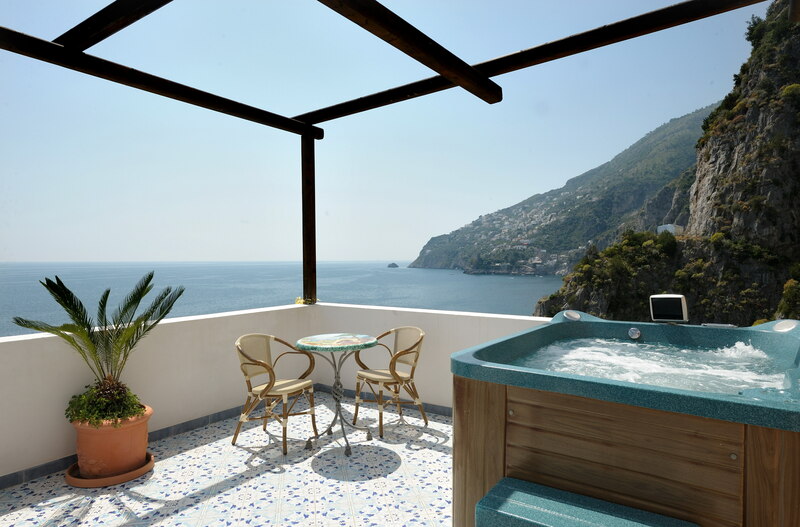 Contact us online for all the information you need to organize your dream vacation on the Amalfi Coast, in an elegant and welcoming hotel with view on the sea! 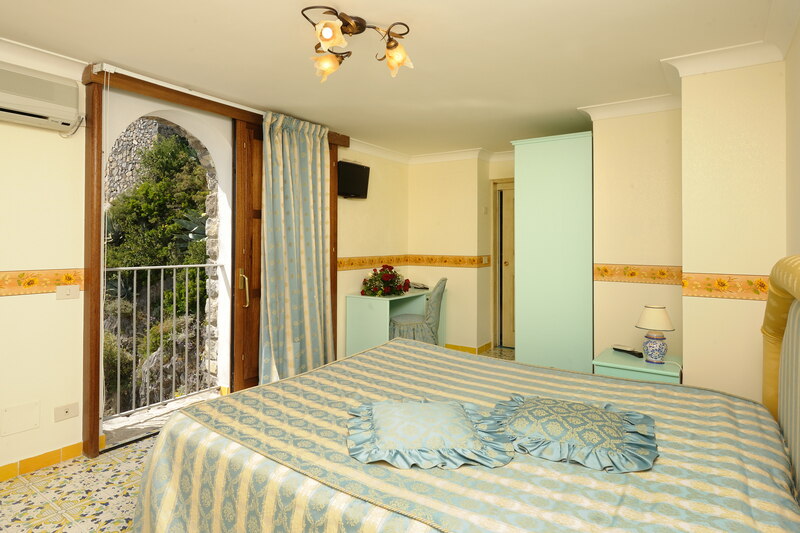 STANDARD rooms, clinging to the cliff, are elegant and comfortable; equipped with windows, balconies or terraces, offering a marvelous view of the Amalfi Coast. SUPERIOR rooms, spacious and elegant, they are derived from the renovation of the old fishermen's houses (the typical Monazzeni). Entirely dug into the rock, naked into the walls, have a balcony from which there is a "divine" landscape of the coast. SUITES consists of one room entirely carved in stone, complete with sauna, Turkish bath, hydromassage shower, and an outdoor hot tub on the private terrace overlooking the sea where, every morning, breakfast is served.